Persona 5 R is now officially known as Persona 5: The Royal, after a short teaser commercial for the upcoming PlayStation 4 game aired during the latest episode of the animated series. While there was no mention of the new Atlus game being released on the Nintendo Switch, there is believed to be a link between this latest trailer and Super Smash Bros. Ultimate. Last month, dataminer Dr. HyperCake discovered a text string in Ultimate referencing “Jane” with “pony_hair” and “Jack” (allegedly the code name for the DLC character Joker). View the latest Persona 5 trailer below and you’ll notice it features a mysterious female with what is being described as a “ponytail” hairstyle. There's now speculation this could be an alternate costume for Joker in Smash Bros. Ultimate. Joker is expected to arrive in Super Smash Bros. Ultimate before the end of April. The next information about Persona 5: The Royal will be shared on 24th April at the Persona Super Live 2019 concert. Must be why they're waiting until "the end of April" to release Joker — to tie in with the next reveal trailer Atlus has planned for this Royal update of Persona 5 on April 24. ... What is with JRPGs becoming royal? First Final Fantasy XV, now this. Weird trend. Persona will stay sony exclusive forever. Stop the Port Begging. Trash character from a trash series wasting spot in Smash. Only good thing about P5 was the music. Nintendo dropped the ball on getting me hyped to pay $25 for fighter pass. I thought the character struck me as a female Akechi from the trailer, but this is interesting. I do think female Joker will be a thing, but I wish they’d stop being coy with whatever Persona 5 The Royal actually is. Persona 5 will never come to switch. The end. The never-ending "will Persona come to Switch?" speculation. Could have made Golden Sun's Isaac a fighter instead. In times of success and third-party outreach, do not forget to tend to your own sheep first, Nintendo. Sony won't hype your characters in their games. Not gonna get into the debate on if it’ll come to Switch or not, or who else it could’ve or should’ve been. Just gonna say I adored Persona 5 and Joker being in Smash is still hype. At this point, I expect Smash Bros Ultimate datamines to include the wining lottery numbers. If Jane is another character I’m really hoping she’s from another series. It would be super weird for Persona to get TWO slots on the DLC. I suspect the second DLC fighter announced is going to be the Dragon Quest hero and they’ll time it with the Switch release of DQ11. That’s said they’d better come out with all of these this year! I’m really hoping that we don’t have to wait for more than a year for all the characters I paid for. That being said, I’d gladly pay for another DLC fighter pack once this one is done. Ahh well. I don't even care anymore. I want to point out, this "port-begging" insults will backlash the day, when an Persona Game is truly released on another Plattform. The Chance that Persona will be ported to another Plattform is actually pretty high, even more if you consider that such "extended Ports" are released on Handhelds as well and sony doesn't have any handheld for that. I would wait atleast for 24 April before you throw around such an statement, because it wouldn't be the first time either Sony or Microsoft have an announce-deal where it seems like a Game is exclusive but once more details are open to public, it's for other plattform confirmed as well. Besides also Nintendo could be the reason and they have a deal to announce the Game on an specific time(dlc release?) for marketing purpose. /edit: Don't get me wrong, i don't say P5R is 100% confirmed, but unlike Sony-Fan(bois) there is a legit reason to belive that it might be ported for switch (and PC). A lot of Sony / Playstation Exclusives are nowdays mutlplattform, heck even quantic dream games aren't exclusive anymore.. and atlus isn't even first party.. I had a feeling all the DLC characters are just going to be ad characters to advertised other games. Joker to advertised Persona Q2 for 3DS, the next one will probably be a Dragon Quest character perhaps from DQXI S, the other three will either be from Fire Emblem: The Three Houses, ARMS, or Daemon X Machina. Feels like this topic is getting off to a spicy start. I was hoping most of the salt from people's favorite characters not getting in would've passed by now. But I guess not. As for the actual topic, I can't really say I'm a believer yet. Jane is a common name, ponytail is a common attribute, and we don't know how many of these are just placeholders, scrapped characters, or unrelated codenames. I mean, I can't say I'd be surprised at this point. But I'm not betting on it either. So the handheld versions give you the same game but with two different perspectives? Seems weird, but I’m more than fine with it if it just is a different skin. Im guessing its gonna be like an Olimar/Alph situation tbh. Cant wait for joker and Persona 5 The Royal to come out still. P5 is by far my favourite game of all time and the thought of it coming to switch or pc gets me so excited! Will definitely be snagging this if it comes to Switch. Was planning on picking it up on PS4 later this year but with how large of a game it is being able to play it on-the-go would be really nice! So just to get this straight: There’s a new female character on some Playstation sequel. Got it. That’s the insight I’m after on a Nintendo site. Yes, however as far as i remember (tbh i wasn't very fond of Persona 3 Portable due they've cut animecutscene and freeroam outside of dungeons) it wasn't like RPGs like Mass Effect or something like that an mere Gender-Swap as simple skin, but moreover the dialogues / npc reaction towards you and such changed as well. Well, first: We don't know for sure if persona 5 royale won't be released on switch as well. We need for 24 april for confirmation. @DavidMac "If Jane is another character I’m really hoping she’s from another series. It would be super weird for Persona to get TWO slots on the DLC"
It may be that Jane is just an alternate costume/colour for Joker and not a separate slot, like the male and female variants of Corrin or Robin in Smash Ultimate. @jobvd Since when is reporting on rumours and leaks = port begging? It's pretty much obvious now that Persona 5R is coming to Switch, as there are way too many signs pointing at it. Sony doesn't own even the slightest bit of Atlus, so please do try and explain your asinine statement. I'm not even gonna mention how salty you seem to be in your comment. Persona 5 isn't a ground-breaking blockbuster for most people, but it's a quality game. If anything it SHOULD be ported to other systems to be enjoyed by a bigger audience. You saying that just makes you seem like a bitter fanboy with no real objective. Well, "Port Begging" is an modern overdrama word for people, who ask if an Game will be released on switch. Sure there are some people who are pretty annoyingly whine about having an port, but it seems most people who aren't very fond of Nintendo Switch can't handle people who only ask / wish this games for their plattform. For me it sounds like fanboi's bias, which doesn't want other plattform to enjoy great games... i would've understood if we talk about first party games like uncharted, but third parties. Than againi i'm one of this guys who really hope bayonetta 2 and 3 never will be on any other plattform than nintendo switch, because for me mentioned other plattform doesn't deserve this great masterpiece with they way they handled the project. (and funnily enough, i remember some people who cried over bayonetta 2, but back than with bayonetta 1 they trashtalked the game and called it an dmc ripoff carbage... so for me it feels that a major of folks who cry about bayo 2 nintendo exclusive aren't geniunly interest in the game, but moreover can't handle that nintendo 've gotten it as exclusive). @jobvd Maybe. Snake entered the roster with very little representation in Nintendo games, but every other fighter has been from a game or series that had plenty of representation on Nintendo systems. It'd be odd to have Joker join the roster and have his only Nintendo appearance be Persona Q2. @Varkster why would I be salty? I own persona 5 on my ps4. I' m not the one port begging. Pointless "announcement", can't believe they are milking the announcements same way they milked the DLC for P5. @jobvd I have no idea why you would be salty, which is why your first comment is mind-boggling and, like I said, without any meaningful objective. I don't see anybody port-begging here and you seem to just want to jab a spike at the community for some reason? Like I said elsewhere, Persona 5 on Switch didn't even become a topic to discuss since the Smash DLC announcement but pretty much since Sony effectively announced bailing out of portable console market. And we're talking a very Japanese subfranchise with its borderline entirety of games (sans P4 Arena games) playable on the go for years. The rest is for time to tell. @jobvd The word "port begging" is just a lousy insult thrown around by people with nothing better to say and I don't know why you had to make such a comment other than trying to piss other users off. Some people would love to see this game on Switch, how is that "begging"? Rather it's about "wishing". Yeah, it might not be coming to Switch, but is it wrong wishing for it? Does it hurt your feelings that there's a possibility of it coming to Switch? Sure one can already play it on PS4, but not everyone have two consoles. So if you only have one system, what's the harm of wishing for more quality games for it, especially when the main character of said game is going to be featured in one of the biggest franchises on your console of choice? The act of "begging" is a desperate one and I don't see anything desperate here. No one's stalking the devs and publishers, waiting outside their office, following them to their cars, crawling in the dirt, intensely asking them to port Persona 5 to Switch. Now that would be "begging". With a name like joker i can confirm that he is out on 1st April for Smash lol. Why joker? Anyone would have been better. @Quarth that would be stalking. So sick of this. Announce already, come on! Or don´t, but stop this nonsense Nintendo/Atlus! What if Nintendo pulls a sneaky on us and releases Joker before the 24th of April? Just kidding, i really dont care anymore. I would rather have isaac in smash and give us a new Golden Sun. Give it to square Enix they can handle it nicely lol. @jobvd Or a desperate act of asking for something you need to survive, like the beggars confronting people outside of malls and grocery stores, asking for money. That's why I think the use of the word "begging" in regards to people wishing for games to their console of choice is bizarre and a little bit in bad taste, as there is real life begging and true struggle out there. I have no interest in the Persona games but seeing the reactions of people who love the game and the character made me happy that he's in Smash. It is one of those out of left field crazy additions that I think are the best kind (especially for DLC) and really make the game feel like an even more insane cross over. Bring it on. I've already finished the original Persona 5, so the addition of a female character is not enough for me to buy it and play it again. I do think this must be a joke, though. a Character in smash that was literally JUST created? I thought to be considered for smash it would have to be almost a "legacy". @Quarth are you saying fanboys struggles aren't real? @jobvd So one is a fanboy for wanting a port? LOL. I get that you're just trolling me right now, but whatever. Believe what you want. The term "port begging" will remain stupid. Yeh, you can never know what Nintendo is actually thinking. I would like a character from an anime though, but thats just my opinion. I just hope Smash's price will lower soon around here. Retailers are selling it for a whoping 100 dollars. @jobvd The World will always have War and Genocide quit begging for World peace you naive Humans. @MattFox As Nintendo's in charge of choosing the DLC this time, this fighters pass is likely all about promotion. @jobvd I’m going to preface this comment with the fact that I have no desire to play Persona 5 at all, and it makes zero difference to me whether it gets ported to Switch or not. There’s no emotional investment for me, and this certainly isn’t a case of “port begging” as you might call it. But to insist that Persona will absolutely stay exclusive to Sony it’s not only foolish, but stands in the face of logic (and it’s technically already untrue, even without P5R coming to Switch). For starters, let’s address the elephant in the room. The Persona Q games are already on Nintendo platforms, making your initial statement untrue. But if you’d like to modify your original statement to say the mainline Persona games, we can discuss that, as well. Nintendo itself chose to include Joker in Smash. There was little to no outcry from the Smash community to include this character, so it’s not fan service or an attempt to please a vocal majority. Nintendo clearly chose this character for a reason, and seeing as they stand to gain no financial benefit from his inclusion if the main title featuring Joker stays exclusive to Sony, I highly doubt they would have picked a relatively obscure character like this if there were no plans to release his game on Switch. This is very likely the case of tying in a new character to the release have a big game in attempt to synergize the success of Smash with the hopeful sales of Persona 5. And Atlus is and has been very friendly with Nintendo for years now. There’s zero reason why they wouldn’t want to expand the success of Persona to a desirable platform like the Switch. This is all even before you consider the constant flow of rumors from typically credible sources that a P5 port is in fact coming to Switch. Betting against a P5 port on Switch is a bit foolish, considering everything we know so far. And once again, even if it comes to Switch, I won’t be buying or playing Persona 5. I couldn’t care less. The hypocrisy here is thick. The community may eventually have the very same “Lol” at your expense if and when Persona 5 makes the jump to Switch. But knowing you (yet another “Sony pony” and clearly just an attention seeking troll), you’ll likely just disappear, edit your original comment, or reply with some silly answer that completely ignores the points others are making, and then return to writing inflammatory little comments in an attempt to get people to notice you. I would be annoyed, but honestly I just feel bad for you. @the_beaver I blame Nintendolife myself. Atlus and Nintendo haven't really said anything but NL seem hell bent on whipping up as much emotion as possible in its readers with sensationalist articles and unfounded rumours. So this character is probably the female version of Joker like with what happened with P3P, and she's an alternate costume like Robin/Corrin in Smash? Seems likely. Hopefully we'll see this come to Switch, it would be a weird crossover if not. @thesilverbrick (Shao Kahn's voice) You win! Fatality! I love the salt in this comment thread from people who are angry about Joker getting in before Issac and other first party Nintendo characters. The moment Reggie said that the Fighters Pass features characters who would never be expected to join Smash, characters like Issac or Rex and Pyra were immediately eliminated from the equation by default. They're TOO expected and highly requested to qualify as unexpected characters at this point. I'm just happy Persona is finally getting the recognition it deserves as a top tier JRPG franchise. I and @LasermasterA wanted Isaac too, and yet here I am, advocating for any guest fighter I can get. Every other week, we get hints that a PC and Switch port of Persona 5 are in the works, but who knows. @thesilverbrick You take this WAY too seriously. @Peterjr1 They are not mainline persona games. They are etrian odyssey games with a very thin persona skin. @Slaster123 Umm i own the game on PS4 bought it last year for $20 new because all the hype i love jrpgs, but just didnt like P5. IMO the 5 character slots should of been for more iconic characters not for characters from niche games, but yes i didnt like your precious game so im salty. I just hope there is at least one... you know... Nintendo character as DLC. I wish they’d just announce all 5 fighters already. Now that M$ and Nintendo are semi-buddies, where is Banjo? @jobvd If you leave comments like the one you opened with, expect people to want to discuss the topic. And just like I predicted, you dodged the actual topic again. @Majora101 Yeah, as someone who has really wanted Isaac since pre-Brawl days, it is frustrating to see third parties completely unrelated to Nintendo make it into Smash before Nintendo's own franchises are represented. @Harmonie Agreed. I have nothing against Piranha Plant or Joker, they're both great fighters, and I'm sure Persona will come to Switch. The delay of a Switch announcement is likely development-related, they want to have it completed and performing up to a certain standard before going ahead with marketing. Nintendo wouldn't put a third-party fighter in Smash without a related title to sell. It's just that one can't help but feel that existing Nintendo properties fans want are lost in the process when development priorities are put into characters with no history on Nintendo platforms. Isaac's time will come, he's essentially the one big fan-wanted fighter left after King K. Rool and Ridley. Geno is also popular, but from what I've seen, his popularity only came about in full during the build-up to Ultimate, and wasn't as persistent as that of Isaac during Smash 4 or Brawl. People have been clamoring for a Golden Sun character for a long time! If Persona 5 is coming to the Switch then I would love to toe the Persona 1-4 port to the Switch as well. 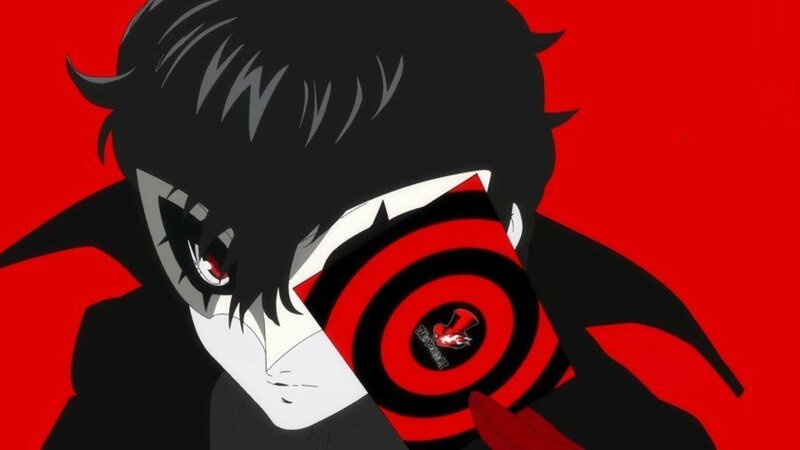 He sounds cool, but as a JRPG representative, Joker is a lot more refreshing considering they can incorporate a lot of P5's stylish aesthetics and attacks into Smash. @DavidMac The thing about Jane is that based on the Japanese translated dialogue from the P5 Royal teaser, she seems like not just a FeMC like the one in Persona 3 Portable, but she seems to have her own story adjunct from the rest of the Phantom Theives. She specifically says in the trailer that she actually dislikes the Phantom Theives methods of saving people and believes problems should be solved individually instead. Therefore, it doesn't initially make sense for "Jane" to just be a P3P-Style female equivalent to Joker. @jobvd Persona games themselves aren't mainline either. Whatever you'll call it, Persona Q is still a persona game. Datamining appears to have brought something far juicier upon us. @Peterjr1 SMT games have been on Nintendo systems for a good 25 years plus. Why you need a Playstation in the gaming tool kit. No need to beg or wait around playing "what I can" instead of "what I want". Just do not buy any overpriced rehashed $60 port on Switch and you would have the cash for a PS4 by now. Do not really play fighting games, but hopefully it does show up in Smash - it be fun for the Persona fans. And an experience unique to the Switch. @thesilverbrick I didn't dodge a thing. I read your post just fine, but don't feel the need to reply. I'm not looking for a nerdfight. You might be, though. @Optimusultimus If you admit persona isn't mainline, than you can't throw in the q games with the persona games like you try to do. @illmatic20xx You are welcome to dislike the series but just because you don't like something doesn't mean it's trash. I don't like the Souls series but I don't go around trashing it on the internet. Nobody's holding a gun to your head and making you play Joker. He's a DLC character, you won't even see him as an option for you. Get some perspective, won't you? I’ve come late to the Persona series, and I’ve just picked up 5. But I’d much prefer a handheld version on Switch as it’s a big game and with a young family I rarely get the telly to myself. Not sure if Joker in Smash is due to a Persona 5 Switch port, or because I saw Sakurai loves the game himself. So I wouldn’t be suprised either way. If I was to guess I’d say it’s coming as 3 & 4 got successful portable versions. @jobvd I’m not looking for a fight. Just calling out obvious trolling when I see it. You had zero interest in any kind of intelligent dialogue. You made your initial point for no other reason than attention. It's pretty funny to read through all the salt connected to console and franchise loyalty. Japan likes to drag its feet, yes, but things change, and nothing is set in stone. It would be best to accept that, and keep an open mind to change. Sorry Golden Sun fans, but the franchise is so incredibly niche that Isaac is reasonably unlikely to ever be added. I understand you guys are very passionate, but try not to give in to hatefulness out of spite. Smash is just as much a promotional tool as it is a legacy celebration. read: Bayonetta, Pokemon from the newest gen, etc. @thesilverbrick that's a lot of assumptions on your side, my friend. @jobvd It’s just the obvious conclusion based on all available evidence. If you were really trying to make a point, you’d be able to defend it or even at least attempt to. But based on your responses to people who tried to open up a dialogue, the inflammatory nature of your original comment and your post history, you clearly are looking for reactions and attention, not intelligent discussion of any kind. @illmatic20xx That seems like an unfair judgement. Have you played the game? it’d be nice if we could get more...ya know...NINTENDO characters as fighters. professor layton, waluigi, skullkid, i’d rather have a freakin NINTENDOG than some random character from an almost-exclusively-sony franchise. next thing you know, they’ll announce that the remaining 4 fighters are from call of duty. @Hydraway Yes i own P5 on PS4 i think the games way overhyped. Id rather have Joker from Batman in Smash than Joker from P5. @jobvd And zero attempts to refute them. They stand. @DavidMac Why do all the third party characters just NEED to market another game? They already are marketing DQ 11.
does Pokemon need help being "promoted"? Where do people get this idea from. @Grumblevolcano Where do people get this idea from? Choosing characters for the purpose of marketing other games over actual gaming icons is like stepping over dollars to pick up dimes. There are some Smash Bros. Consumers that just don't care about Seri like Persona. Putting a Persona character is not going to flip a switch in their minds and make them buy some new Persona game. I miss the days when "confirmed" didn't mean "we found a thing and came up with a theory about it". @backup368 You're looking from the wrong perspective. For decades it has been normal that Nintendo gets the shortest straw when it comes to 3rd party support, from games coming much later to inferior versions compared with PC/Xbox/Playstation to games not coming at all. But these 3rd party developers know how big Smash is and how it massively helped franchises like Fire Emblem so Nintendo makes a deal with them. 3rd party gets their character in Smash meanwhile Nintendo gets better quality 3rd party support. @Agramonte I understand your reasoning, but not everyone has time for gaming tethered to their living room TV. PlayStation isn't practical for everyone. There in lies the appeal of the Switch. It makes paying a little more for a game worth it to have the ability to play anywhere. Especially, a time consuming RPG. I won't be playing Persona 5 until I can do so portably. @PerishSong Idk, both Metal Gear games were on NES (never even heard of them until Solid though), Twin Snakes was on GC, and 3 was on 3DS. Although there are MGSV spirits in Smash. @Grumblevolcano Not even that is true. Smash Bros had nothing at all to do with Fire Emblem's sales. Fire Emblem Awakening was not tirelessly shoved down people's throats by a Smash Bros. game in order to sell well. The demo helped it sell well. And even then, Splatoon already beat Fire Emblem in lifetime sales. You want to promote a game? Release trailers & market it. You'd reach out to more Consumers that way than just those that own one other game. So you think that a spot in Smash Bros is an incentive to make their title for the Switch? Publishers don't play games like this. If they want to make their game for the Switch, then just do it! It's a lucrative enough platform where you don't need Nintendo to have to beg you. @Manah The only "confirmed" I can see here is in "So there's now confirmed to be a prominent female character in P5R"
and that is indeed confirmed by the trailer (to 98% at least). @backup368 I'm not talking about Awakening, I'm talking about how Fire Emblem would still be Japan exclusive if not for Marth and Roy in Melee. @Grumblevolcano And didn't even catch on in the West for 10 years after that. 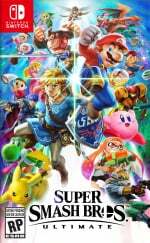 If there are some Smash Bros players that don't care for the series now after they inserted a total of 7 characters, the results will still hold after the 8th, 9th, and 10th characters. @thesilverbrick An assumption doesn't stand. They aren't even an argument in any serious discussion. Why does Pokemon release mediocre movies when the games sell well enough by themselves? Because Nintendo cultivates and maintains overall momentum for the Pokemon franchise by promoting it across multiple fronts, including Smash Bros.
You're right; Pokemon doesn't "need help." Instead, Nintendo has meticulously and proactively maintained the franchise's success. Many, many franchises have fallen by the wayside over the decades that Pokemon has existed. Pokemon has not maintained its success out of thin air. @jobvd By definition, an assumption is a conclusion drawn without proof. You have given plenty of evidence to back up my conclusions. You make no attempt to refute my statements because you don’t have any reasonable explanation for your behavior other than you are seeking a reaction and attention. If you aren’t simply seeking attention by your trolling comments and issue-dodging, then what is your endgame? Your entire post history is comprised of inflammatory, trolling comments, with zero of them lending to any kind of intelligent discussion. You fit the definition of an attention-seeking troll and your comments couldn’t possibly serve any other purpose. Calling my accurate assessment of you an “assumption” doesn’t make it untrue. Or we can just scrap this and return to your original post. Let’s give you another shot to prove you weren’t trolling. You claim Persona will always be Sony exclusive. Why do you think so? 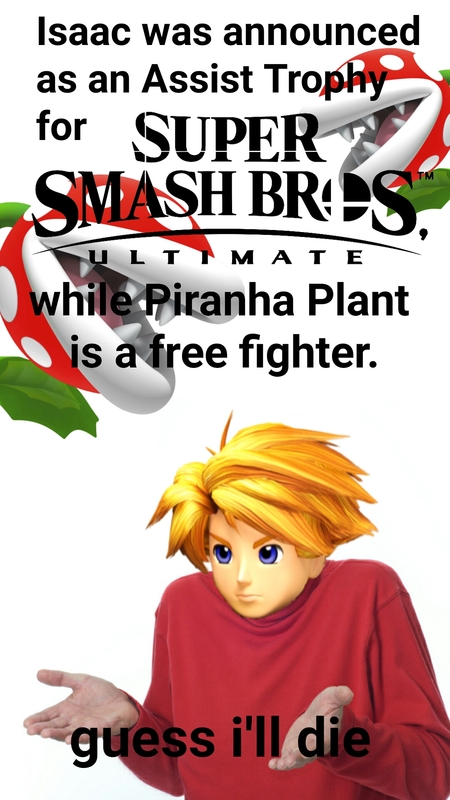 @Ulysses Or you just use the new character to sell Smash Bros. Without new characters, why buy the game? They do enough to market Pokemon and other franchises. Those Pokemon fans who buy all the Pokemon games anyway wouldn't see an incentive to buy Super Smash Bros. Ultimate without a character like Incineroar. And I don't need Incineroar to remind me that there is a new Pokemon game. If I'm not interested in Pokemon, Incineroar won't make me. @Arbor Professor Layton isn’t a Nintendo character. You're failing to see beyond your own perspective. You're not the target audience for promoting brand new Pokemon. People like us who follow gaming news on top of normal gaming are in the minority; most people are not aware of everything happening within the game industry. The point is to promote awareness. You're half right that Smash Bros uses the newest Pokemon to promote itself, but it's a symbiotic relationship. Every angle of promotion and exposure helps inch the Pokemon franchise toward further success. But honestly, I don't think I will convince you since you already seem resolute in your opinion, so this entire debate appears pointless. It seems some people underestimate the popularity of Smash. @thesilverbrick You have zero proof for any of your assumptions. That's why they remain assumptions and for that reason, worthless. You seem to seek confrontation with those with different viewpoints. I however do not. "Persona will stay sony exclusive forever." You have zero proof for this assumption as well, therefore, worthless. @jobvd So saying people are "port begging" and being fanboys ain't seeking confrontation? LOL. Also, "Persona will stay sony exclusive forever" is a fact? @Quarth It's not a fact. It's a fanboy wish. @shaneoh offcourse. It's so obvious that I wonder why people took it seriously to begin with. Or took the time. @jobvd So it's a fanboy wish that it will stay Sony exclusive forever? So you're the fanboy? Interesting. If it was a joke from your side, you better work on how you present it. I know it's hard in text form, but it wasn't as obvious as you think, given that you really were joking and are not making this up as an afterthought. @jobvd I seek to discuss the topic you presented. You are avoiding doing so. With every single pathetic little half reply you give, you’re only proving my point. @thesilverbrick At this point, you seem to stalk me instead of wanting a discussion with me. I guess no gaming forum is free of stalkers. @jobvd Sure, if you think replying to comments in a discussion thread is “stalking,” then you’re stalking several people here, as well. But you’re attempting to drag us further away from the original point, again only adding more evidence to my accurate “assumption” that you’re only looking for attention and to waste time. You keep refusing to discuss the actual topic. Prove me wrong. Let’s discuss Persona. @thesilverbrick Let's not. And PLEASE stop stalking me. It's creepy. @jobvd You started this, buddy. You’re the original stalker, by your own definition. You’ve stalked at least three other people in this thread. Who’s the creep? @thesilverbrick I did not start this. You started replying to me directly and let's face the facts, stalking me. @jobvd You started this by contributing to the discussion with your original troll post, which I replied to. That’s what a comments section is for. If you don’t want to keep discussing this, you can simply stop responding or even block me. It could all end right now, but you don’t want it to. @thesilverbrick I hoped this would not be necessary, but since you keep stalking and abusing the messageboard to fight out a personal vendetta that never existed, I WILL block you. Thanks for letting me know that was a possibility. @jobvd You’re very welcome. Have a great day. @Ulysses Nope. You have it backwards. Explain then why Negan is in Tekken 7, why Geralt is in Soulcalibur 6, why the Ninja Turtles are in Injustice 2, and so on. What products are those games trying to promote? And why do the developers take a great interest in how these brands from other companies do? You really have to think consumers are like robots in order to believe what you are saying. They're not just going to buy a game once they see that game's character in another product. We're not robots. We all have different tastes. I've already proven that using characters to promote other games isn't even that effective. There are just some fans who might not even care about Pokemon. Instead of a small fanbase of Smash Bros. owners who may or may not like Pokemon, Nintendo can rather choose a Pokemon character to appeal to a larger, broader group of Pokemon fans that are more likely going to act when they see that Pokemon character in the product, thus buying the Smash Bros. product. Pokemon might not be the best example here, but simply replace it with any other series, and you'll see what I mean. They make more money getting characters that they KNOW that many fans like instead of HOPING their current, smaller consumer base likes the characters they choose. What you are asking Nintendo to do instead is step over dollars to pick up dimes. @HexagonSun Oh sure. Everyone needs to keep their schedules. I have a 2hr commute and get sent away for work (why have always owned a handheld). But that makes what time I have to finally play in the comfort of my own home - even more important. I spent some time over the weekend playing Sekiro. Probably will not have time to play it again till much later in the week. But I rather play great games slowly when I can, than not at all. Well I don't want too many guest fighters now lol. Also to the peeps calling Joker a SMT rep, I don't really see him as one. Persona is its own franchise now and P5 even dropped the SMT abbreviation in front of its name. Joker is a Persona rep, not a SMT rep. SMT has been on Nintendo consoles since forever, not Persona. @Varkster if it is then why isn't Atlus listing P5R for switch on their website? Unless the video I've embedded proves to be onto something, in which case I guess everyone's a winner. @thesilverbrick LOL. You owned him. @illmatic20xx I've heard people dislike Persona games before (and they are not flawless of course, even though P5 gets closer than ever b4 imho), but never ever have I heard someone implicitly or explicity deny that the games are gorgeously designed, including every part of the interface and menus, which I dare they say are actually perfect in P5. If not perfect I would dare anyone to point out a game to me that featured a HUD and menus, that are more visually appealing, clean, concise, stylish and fitting with the actual tone of the game (whether you digg that tone itself or not) thant P5. All of this is not to mention, that mapping virtually all battle actions to a button instead of a traditional menu, as so often in these TBS games, was a small but significant stroke of genius as far the flow of the game is concerend. Anyways, I do agree, the music - as always with this series - was excellent as well, but to me, the visual design stood out even more, as in that regard, P5 actually managed to top even P3 and P4 (since I might have actually liked the P3 soundtrack just a tiny bit more ^^). Also, even folks who dislike jRPGs, SMT in general or Persona in particular, rarely refer to it as trash. It's one thing to say a game is not flawless and that you personally dislike it, as it is certainly not everyone's jam, but trash ... no, it is objectively not trash. Given its strength in artistic design, it would not be trash even IF it WERE to play like utter and complete trash, which it isn't. I don't doubt there being dummy data. I just doubt that all of that dummy slots will be used. Companies add space to add more stuff later, but they don't necessarily always use that space. Smash 4 had extra slots as well but they never used all of them. Well, what with Sakurai's own health to be taken into account, I don't actively want that many characters. That's not to say, however, that they wouldn't be welcome. I have to say, you are being too narrow minded and are missing the point. I had no idea what Negan even was until you mentioned its crossover with Tekken, and I ended up googling it and now am more familiar with The Walking Dead. That is literally the point of AMC agreeing to the collaboration! I am now more aware of their brand. I'll give another example. Blazblue Cross Tag Battle caught my eye last year, and after watching some trailers, I noticed RWBY. I had no idea what it was, and read it was a TV show. I ended up researching the show out of curiosity and even tried it. That was the entire point of RWBY agreeing to the collaboration: to increase awareness and generate interest. No, we are not robots, and a promotion does not guarantee a purchase. But millions of products all compete for our attention on a daily basis! Sometimes it's that one trailer or that one reference in an unrelated piece of media that calls our attention to a product that we otherwise would have missed out on (like your one comment on a Nintendo website mentioning a crossover in a completely different fighting game about a character from a completely unrelated TV show that has called my attention to The Walking Dead). To further prove my point, let me just ask you: why would AMC or CD Projekt agree to lend out their IP if it was not beneficial for themselves? The owners of these brands do not just lend out their IP pro bono. @Ulysses Awareness doesn't equal profits, and this is often why you don't see crossovers between franchise that you've never heard of before. RWBY and Blazblue are both rather niche brands in their own rights. I'm sure that deal was huge for Rooster Teeth, and Arc System Works was very happy they got to work with them, but if Arc System Works had to choose between RWBY and the Walking Dead, they would definitely take the Walking Dead in the heartbeat. The Walking Dead is a popular and globally-known TV franchise. Tekken fans may buy the Negan character because they like owning all the characters, but if the show doesn't interest them, they're not going to watch it. Yes, you are right when you say that the character's owners hope to benefit by leading to more potential customers. But clearly they don't have any power to insert their IP into other products. The product owner has the final say, because any decision that is made has to benefit the company in some way. What matters more to Nintendo: Their product, or someone else's product? It goes without saying that awareness doesn't equal profits. I'm honestly not even arguing about what you're arguing about. You are right; obviously IP owners do not have the power to assert their characters into a product forcefully, and I'm no expert but at least I imagine more often than not it is the product that approaches the IP to make the crossover in the first place. But the IP owner holds a lot of power over the collaboration, and the product owner usually has to walk on egg shells in order to keep the crossover green lit. Sakurai himself lamented in interviews about how difficult it was for them to negotiate the return of every third-party IP for Ultimate, even going so far as to saying it could never be done again because of it! Anyway, I think I ultimately agree with what you're trying to say, and I don't even know what we disagree over anymore. I think it's just been a long day. Oh, and your last question about what matters more to Nintendo might be a bit of a moot point since Nintendo has control over both Smash Bros and Pokemon in this specific situation. @Quarth I'm sure the stalker didn't 'own' me. @jobvd What was that about Persona Q again? P5 ran on the PS3, so Switch seems like it could be technically possible. It's an excellent game and also is like 115+ hours to finish. @blecch Q is an etrian oddysey game. @Quarth He calls other people stalkers and then comes in and stalks you, even though you weren’t even talking to him. The hypocrisy is hilarious, haha. He just can’t walk away when there’s attention to be had. If echos could result in other characters being in the game (with his Final Smash, Ike's been a stand-in for Cloud ever since the Brawl days, and Cloud's own reveal trailer kind of lampshaded it with Ike acting as Sephiroth at its end), we could make that two years, but with far less workload on Sakurai's own shoulders in case we get a second fighters pass. That said, the way things are right now, I'm pretty much satisfied with what we're getting; I just hope Rex's Mii costume doesn't end up being the only benefit from the Pass - Joker is great and all, but the risk of "wasted" roster slots is lurking behind every corner. @thesilverbrick Haha, yeah, let us see if he can resist the temptation to reply to this conversation between me and you. Isn't there supposed to also be a "Persona5 S" codename as well? I really think we are getting the switch port, I just think they're building mega hype and speculation until April. I don't understand the point of Persona5 only on PS4 again so shortly after it just came out. But with Switch at the same time it just seems like it would make way more sense. I'd buy four season passes if they come out. Think of... uh, a "year pass". A Smash for all seasons!